I’m working with a legacy database that stores booleans as the characters ‘Y’ and ‘N’. What’s the easiest way to map these values to an entity attribute of type Boolean? 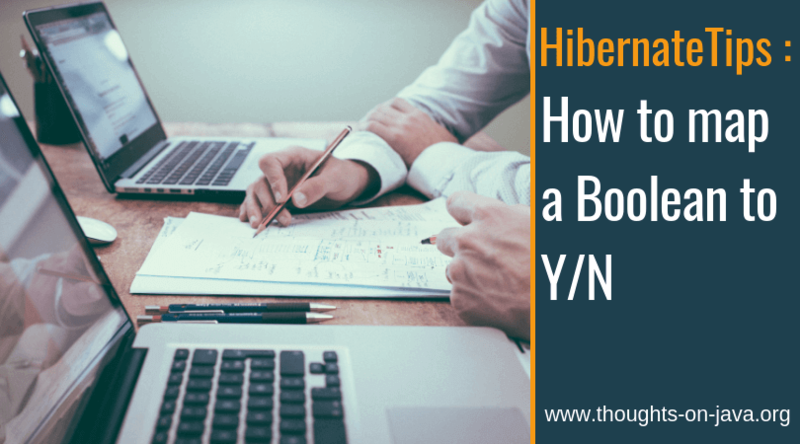 By default, Hibernate maps entity attributes of type Boolean to a database column of type boolean. You can change that by implementing an AttributeConverter that maps the Boolean to a Character. Hibernate will transparently apply this converter whenever it uses the entity attribute in an SQL INSERT, UPDATE or SELECT statement. The implementation of such a converter is pretty easy. You just need to implement the AttributeConverter<Boolean, Character> interface with its methods convertToDatabaseColumn and convertToEntityAttribute. Within these methods, you implement the conversion of the Boolean object to a Character object and vice versa. You also need to annotate your class with a @Converter annotation. This registers the AttributeConverter, and you can use the autoApply attribute to define if the converter shall be used for all attributes of the converted type. OK, let’s take a look at an AttributeConverter that converts a Boolean to a Character. I annotated the BooleanConverter class with the @Converter annotation and set the autoApply attribute to true. This tells Hibernate to apply this converter to all entity attributes of type Boolean. Entity attributes and database columns can contain null values, and you need to handle them in your convertToDatabaseColumn and convertToEntityAttribute methods. That’s all you need to do to persist an entity attribute of type Boolean as the characters ‘Y’ and ‘N’. 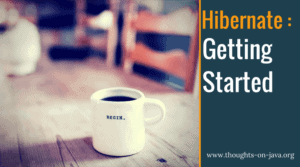 As soon as you add the AttributeConverter to your application, Hibernate will use it to convert the matching entity attributes and database columns in all SQL statements.